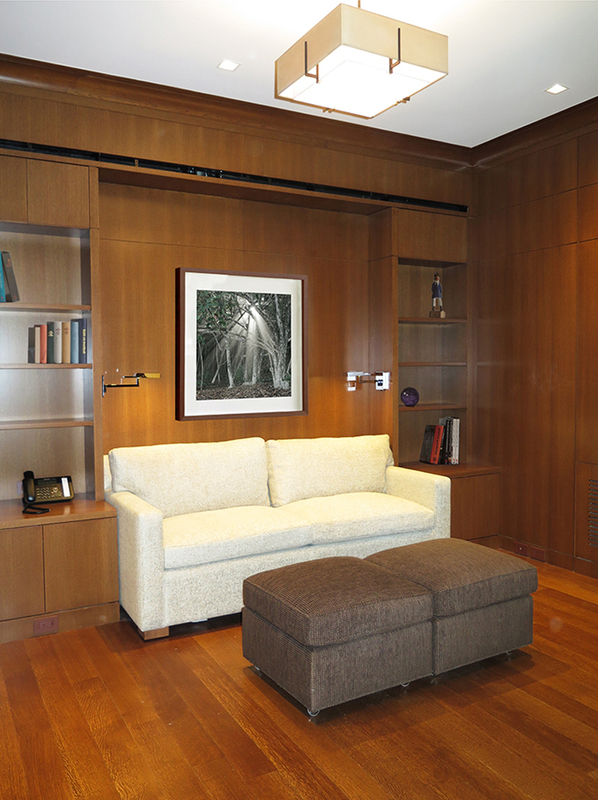 It is always a welcome opportunity to design a home for clients with whom we have enjoyed collaborating in the past. And, fun, too, to create at both ends of the spectrum of our residential work … from the renovation of their traditional French Provincial house in Greenwich, Connecticut, to gutting their Park Avenue apartment that has emerged as the epitome of elegant contemporary design. Morpurgo Architects’ renovation of this 2,000 sf coop, with confining areas, has led to a flowing series of spaces that includes an open living/dining area, two bedroom suites, each with an en-suite bathroom, a library/guest room and bathroom, a powder room, and an eat-in kitchen. Our clients’ new home is distinguished by high ceilings and recessed LED lighting, immediately apparent in the entry, with its striking oval, light cove, which leads to a large gathering space, punctuated by hidden light sources and curved, sculptural cabinetry designed by our firm. 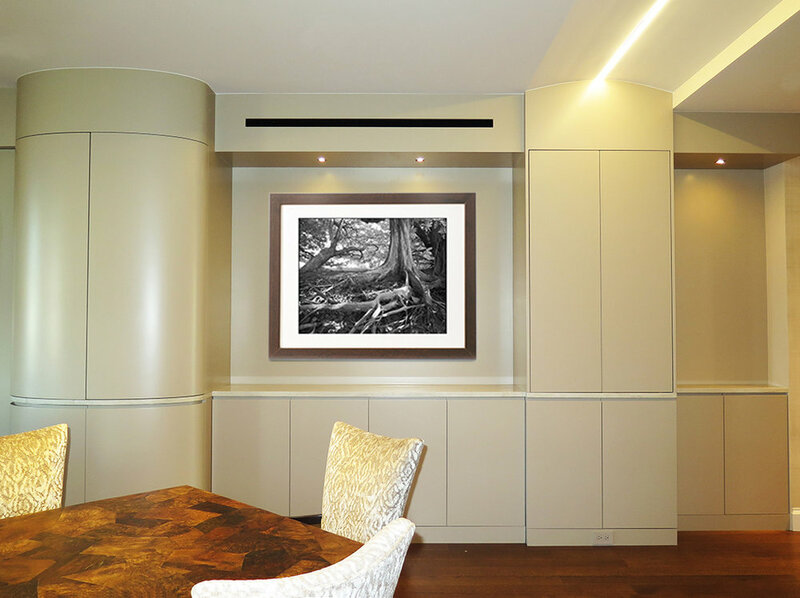 Photography by Ann Ginsburgh Hofkin is featured in our images of this apartment.